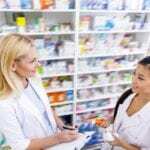 A career as a pharmacy technician is ideal if you want to help others improve their health. 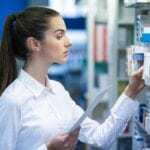 As a pharmacy technician you will work under the supervision of a licensed pharmacist to fill prescriptions, package and label medications, maintain patient records, assist customers, and bill insurance companies if you work in a retail setting. Your responsibilities will be slightly different if you work in a hospital and will include preparing and distributing IV medications, stocking robotic dispensing machines, and collaborating with other professionals on the patient care team. With this expanded role in the pharmacy, technicians give pharmacists the freedom to counsel patients, deliver cognitive and drug therapy services, and assume specialist roles. 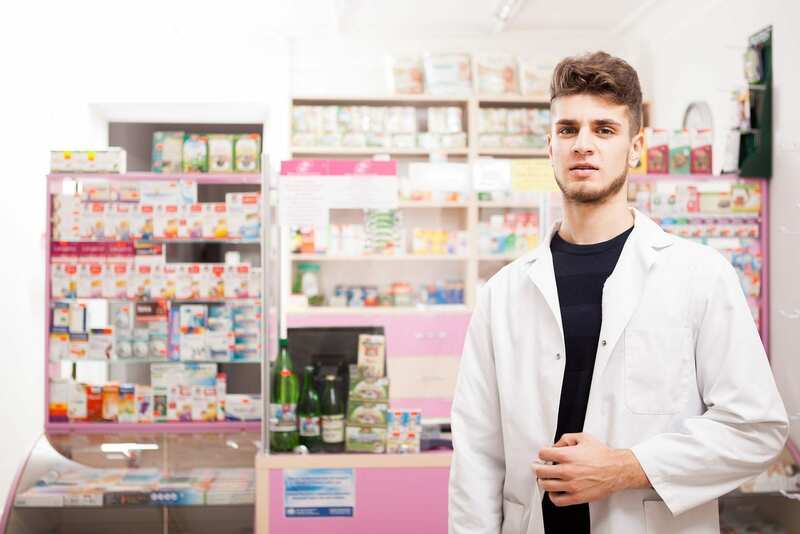 Pharmacists must have complete confidence in their technicians to oversee the preparation of prescriptions for dispensing and manage the day-to-day operations of the pharmacy. National certification through the Pharmacy Technician Certification Board or the National Healthcareer Association confirms technicians’ qualifications to assume such a role. Pharmacy technician programs prepare students for success on the national exam to become a Certified Pharmacy Technician and play an integral role as a part of the healthcare team. The pharmacy technician program at HACC prepares adults for employment as a pharmacy technician in hospital pharmacies, retail pharmacies, home healthcare agencies, extended-care facilities, and mail-order pharmacy distributors. The curriculum covers a total of 114 hours of didactic training and a pharmacy tech certification prep course. The program can be completed in as little as 7 months. It prepares students to understand how to compound and dispense pharmaceutical preparations and prepare admixtures, participate in quality control processes, perform insurance billing, maintain drug inventory, and succeed on the PTCB national certification exam. Course modules taken in order include pharmacy practice, job readiness for healthcare professionals, pharmacy science, database management for pharmacy technicians, pharmacy tech math, and pharmacy tech certification preparation. The pharmacy technician program at YTI provides students with the skills and knowledge needed to secure entry-level employment in the field of pharmaceuticals. Graduates will be able to take the national certification exam to become a Certified Pharmacy Technician and work as a pharmacy technician, pharmacy clerk, assistant pharmacy technician, or pharmaceutical assistant. The program offers 47 quarter credits and may be completed in 9 months (3 quarters). Course topics include student success seminar, medical terminology, computer fundamentals, pharmacy math, introduction to pharmacy, career development, hospital pharmacy, pharmacy law and ethics, and pharmacology. Other areas of study include billing and insurance for pharmacy technicians, community pharmacy, advanced pharmacy practices and alternative, PTCB review, and pharmacy technician externship. Enrollment is limited to 20 students per class. Applicants must have a high school diploma or GED, submit a completed application and fee of $50, complete the Wonderlic Scholastic Level Exam, sign the enrollment agreement, and pass a drug test and criminal background check. Tuition costs $13,770. Books and supplies cost $2,200. Northampton Community College offers a 30-hour comprehensive program that provides students with the knowledge to obtain CPhT certification. The program is designed for those with experience and no industry experience. Graduates will improve their employment opportunities after they earn the title of CPhT. Students learn how to screen prescription orders, prepare prescriptions, mix medications, manage distribution and control systems, discuss side effects and other drug information with patients, monitor the pharmacy’s compliance with federal and state regulations, and prepare insurance claims. The program is an evening schedule only. Classes meet for a total of one month. Tuition costs $795 and does not include the certification exam fee of $115. Carbon Career and Technical Institute prepares students to work as a pharmacy technician in a retail pharmacy, hospital pharmacy, or other pharmacy setting. The curriculum covers 50 hours of instruction in pharmacy medical terminology, pharmacy practice in multiple environments, the history of pharmacy, reading and interpreting prescriptions, pharmacy calculations and measurements, generic and brand name drugs, and dispensing medications. Lectures in the classroom and practical lab experiences will also cover dosage calculations, IV flow rates, sterile compounding, aseptic technique, dose conversion, the handling of sterile products, inventory control, dispensing of prescriptions, and billing and reimbursement. In addition to 50 hours in the classroom, students will also complete an 80-hour pharmacy externship at a community pharmacy. Classes meet Tuesdays and Thursdays from 5:30 pm to 9:00 pm. Applicants must have a high school diploma or GED and submit to a drug screen, physical exam, and criminal background clearance. Tuition costs $1,199.